This summer we were delighted to have another work crew from LifeBridge Christian Church in Longmont, CO. They completed several projects around the lodge and had a lot of fun too! 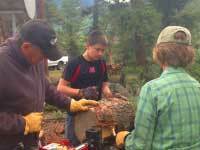 We then had a delightful group volunteer from Fellowship CRC of Greeley, CO join us for cutting and splitting wood. 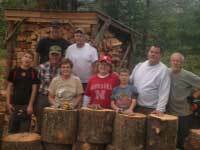 Along with numerous locals from the Church at Redstone and Marble Community Church who joined us again for our annual wood cutting party. 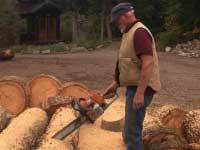 Thank you for all of these churches who came out and worked hard to help us get firewood ready for the winter. And thank you to Marcus and Janice Beaver and Jim and Leslie Smallwood who came out for a volunteer work week. We are so grateful to all of you who donate your time and energy to help us get much needed work done around the property!